The all too wondrous sensation of tearing into a fresh-off-the-grill, juicy burger is thoroughly loved by practically everyone. That first bite of a decadent patty, combined with the perfect blend of melted cheese and crisp veggies- all pulled together with a fluffy bun- is irresistible for meat-lovers. That certainly holds true for teacher and coach Brad Anderson. As a result, for years, Anderson has dwelled on the idea of establishing a club for fellow burger-lovers to unite. As the years went by, Anderson continually brought up the concept of a burger club. But about a year ago, Anderson was met with more than the usual interest. Seth saw no reason not to seize the opportunity. 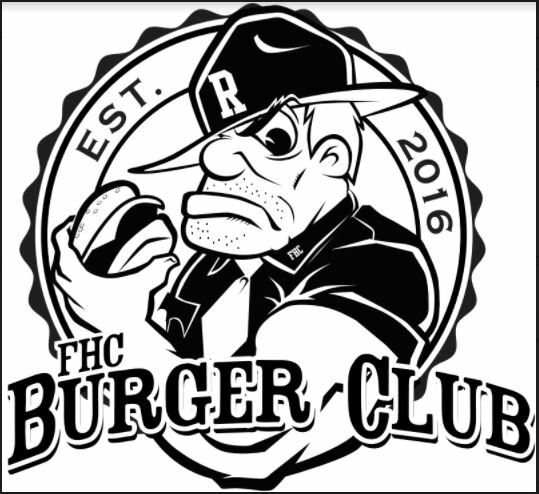 In short, the combination of Seth and Anderson’s appreciation for burgers and determination to create a club to bring burger-lovers together culminated in the establishment of the FHC Burger Club. After this year’s wrestling season, the duo began putting things into motion, getting the club through administration, and spreading the word. Leading up to the first meeting, which was this past Friday after the half day, about twenty students were already signed up, and kids were thoroughly excited. At that first meeting, the Burger Club ventured out to the well-known restaurant, Five Guys. There, as they will at every meeting to follow, they took a vote after indulging in some burgers. This vote is held in order to determine whether that particular restaurant is deserving of the FHC Burger Club’s seal of approval. Indeed, the food is the centerpiece of the club, but Anderson sees a plethora of other positive aspects of the burger club. More than just the friendship element, Anderson is also hopeful that this will enforce good manners and the support of local businesses. Seth, too, is excited to support and sample the food of local restaurants. Seth specifically has the challenge of taking on a leadership position within the club as the captain. Already, through the process of establishing the club, Seth has proved himself as a capable leader and organizer. Presently, as the FHC Burger Club has only met once, both Anderson and Seth are eager for the continual success of the brand new club. As Seth said, they hope the club will get to a point where “businesses come to [them].” And, of course, any new participants are wholly welcome to join and enjoy the friendship and mutual love for food that comes with the club. “It’s a way for students to meet after school to enjoy camaraderie, fellowship, and their love for juicy burgers,” Anderson said. Great idea Seth and Brad.